There are 5 trends that are emerging in Real Estate Law this year. The top two are drones usage and crowdfunding real estate properties. An intriguing marketing strategy that’s recently emerged is the use of drones for aerial photography, virtual tours, and more in relation to your real property listings. The FAA is hustling to keep up with commercial interest in this tool, particularly since the passage of the FAA Modernization and Reform Act in 2012, which requires the agency to “develop a comprehensive plan to safely accelerate the integration of civil unmanned aircraft systems into the national airspace system.” (Read: They want to control the use of YOUR drone). The FAA estimates that by 2020 there will be 30,000 commercial drones in operation in the U.S. The first exemption for a real estate firm was granted earlier this year, to Tierra Antigua Realty in Tucson, Ariz. 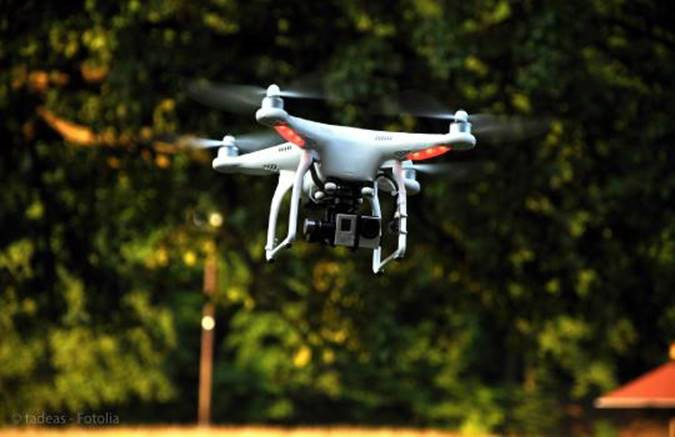 Some say that you need to have a pilot’s license to use a drone in FAA Airspace. Further, In response to the 2012 Act, over 100 bills have been introduced in state legislatures relating to the use of drones, with 43 states proposing legislation. Much of this deals with issues of privacy, addressing concerns over the use of drones by law enforcement, but as the demand from the commercial sector grows, we’re sure to see more discussion of ways to regulate the use of drones in real estate and private use. Multiple people funding a piece of real estate will cause multiple headaches for lawyers. Everyone will want a piece of the pie and to be on title. The trend in crowdfunding is heading toward private residential real estate purchases. Right now, a funding option that is gathering momentum, crowdfunding gives smaller, accredited investors the ability to participate in the commercial real estate market. Thanks to the JOBS Act of 2012, it’s legal for investors to buy equity in projects online, provided they meet income requirements. This type of investment has taken off in the last few years, with over $1 billion in revenue generated through real estate crowdfunding in 2014. Sites like ProHatch, Patch of Land, and Fundrise are allowing smaller investors to participate in projects that range in value up to around $25 million. Developers appreciate this financing source that provides an alternative to more conventional routes. This type of transparent and easily accessed investing seems to represent a shift in banking in general, and will no doubt receive the attention of legislators in 2015. When this hits the residential markets, it will create a boom in new lawsuits over foreclosures, sales and title issues (e.g. quiet title actions, etc.). The Law Office of Lewis & Lewis, APC can help you with all you real estate questions and issues. Call us today. Source: Aptos.com, Realtor.com, Etal, Photo credit: National Assoc. Of Realtors.